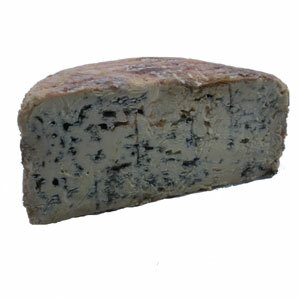 Blue d'Auvergne is produced from milk from the area of Auvergne, where the cheese has been made for a very long time. The milk is inoculated with Penicillin Roquefort, and later as the cheese develops, it is pierced with needles with the strain on them. This cheese has an intense pattern of bluing with a moist, crumbly texture. The flavor is a balanced spicy and salty combination. Authentic Barrel-Aged Feta from Greece is very rare in the USA, and this may be the best feta in the world. Mt. 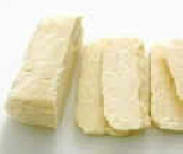 Vikos Barrel Aged Feta is made in a traditional manner by a small family dairy in central Greece. 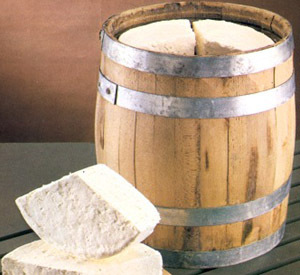 The feta is molded into large round forms, which is then stacked into 120 lb barrels. The cheese ages in these wood barrels for four months allowing the cheese to become complex and rich in flavor. Made from fresh milk of free-ranging sheep and goats, this feta cheese is made during months when grasses are green for a sweet flavor. No antibiotics are given the animals. Mt. Vikos contains no preservatives, additives, or calcium chloride. A cheese from the plains where Don Quixote of legend tilted at windmills, Manchego has been made in La Mancha since the time of the Romans. This true aged raw milk Manchego is made only from the mild of the Manchega sheep from the La Mancha Plateau region, more than 600 meters above sea level. The flavor is slightly acidic and piquant, the persistent taste of the sheep’s milk gives it a nutty finish. Consistency: Slightly yellowish, with an even distribution of holes. Taste: Mild, slightly briny, nutty flavor. When well aged, takes on a strong peppery bite. 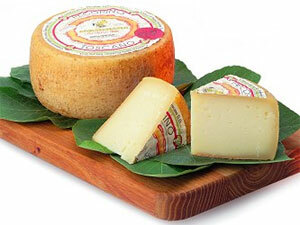 This traditional Pecorino Toscano is firm and dense in texture with complex nutty flavor. Traditionally, this cheese is made in Tuscany, which has a long, rich cheesemaking history. Our Pecorino Toscano comes in a small, dense round, looking much like a small Parmesan wheel. 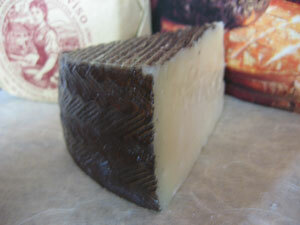 The natural rind is dark brown, hard, and dry. The cheese is hard in texture, with a pronounced sheep flavor, and a mild finish.